There are some really fascinating stories including Spanx’s Sarah Blakely, WeWork’s Miguel McKelvey, and Airbnb’s Joe Gebbia. They’re opportunistic. Patagonia’s Yvon Chouinard started life out by becoming a metal worker to make climbing equipment when he couldn’t find what he wanted. They start things with people they haven’t known for a while… or they go it alone.WeWork’s Miguel McKelvey shared how he met his cofounder through his roommate after he wanted to work in NYC. He moved there. He met Adam Neumann who was highly complementary in skill sets and the ability to hook people on vision and sell. They fake the sh!t out of it. Spanx’s Sarah Blakely would pop up her display in department stores on her own without getting official consent. People thought she was legit and bought her product. There’s the hustle we all think we’re doing, and there’s the hustle they do. It’s next level. Toms’ Blake Mycoskie rolled from idea to idea, startup to startup – from a laundry delivery service for his college peers to doing giant advertising displays on the side of buildings only after seeing them work in LA. Then, he spent weeks in S. America to help hand-craft over 2,000 pairs of shoes when orders started piling up when he first started. Go listen to the podcast. It’ll be motivating and inspirational. I opened up the floor for others to suggest today’s blog post topic and decided on “how to stay motivated”. I’ve heard several entrepreneurs recently share their struggles – struggles from overcoming challenges to staying consistent in writing. It’s tough. It’s really, really tough. As I mentioned in the past, many people assume the hardest part of startups is making the leap into entrepreneurship. That’s tough, but the greatest challenge is overcoming the CHASM. The greatest challenge is staring down doubt and overcoming hurdles over and over. There’s even a period referred to as the “trough of sorrow”. Ground into your why. The why is what fuels your passion. It’s the reason you started. If it’s powerful enough, it’ll keep you going. Find tools, whatever they may be that gives you energy. For me, that sometimes starts with a simple motivational video. Surround yourself with supportive, like-driven people. Atlanta is really thriving as a startup hub with a vast network of entrepreneurs, startup spaces, and dream-chasers and achievers. Take a step back and reassess your situation and your direction. Be vulnerable and ask for help. This is why I read Brené Brown’s Daring Greatly. Staying motivated sometimes means opening up to others to ask for the support and encouragement needed. “Staying motivated” implies you’re already in-flight on your idea, passion, or startup. A piece of advice that can help before you make that head-on jump: Can you pursue this idea or passion on a steady basis as a hobby? Sometimes, making a big plunge is too drastic and requires too much change which can quickly deflate interest and motivation. There are a number of ways to stay motivated, but the big ones are grounding into your why, and reaching out for help. 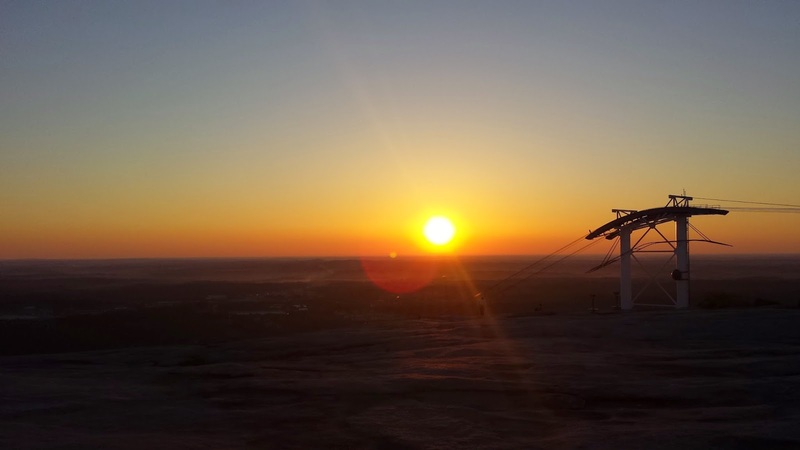 Took a hike on Saturday morning to the top of Stone Mountain to catch the sunrise. There are a million reasons not get up this early, but if I hadn’t, I wouldn’t have caught this beauty. If you’re a mountain biker, you know the importance of picking a line, attacking it, and driving your legs to get through tricky terrain. Turns out, this line-attack-drive mentality is actually pretty applicable in the world of startups and entrepreneurship, too, but not just in navigating the treacherous terrain of entrepreneurship, but also in just starting out. When I was younger, my buddy and I biked around the neighborhood looking for “mini-off-road adventures”. That meant going down stairs around the ‘hood, flying through the wooded backyards of neighbors, and occasionally, fording a creek bed near the neighborhood pool. The creek had rocks and dips in addition to the slow current of the creek, so it made for a “risky” adventure – hey, we’re in the suburbs. The key to navigating the traps and obstacles was to find a line, attack it, and keep churning your legs. At first, my buddy had trouble fording the creek either stopping well before entering the creek or right smack in the middle. But once he focused on a clean line free of rocks and big dips, finding momentum into the line, and then driving his legs, he was crossing the creek almost effortlessly. I’ve recently sat down with several “wantrepreneurs” and musicians, and so many of them are stuck in this “I’m not ready” phase or “I’m waiting for… [insert ‘stars to align’ here]”. But as they’re waiting for the right people to come aboard to help or for themselves to have the confidence to try, years have passed by. And in most cases, those ideas are now yesterday’s someone else’s successes. Surprise! You’re afraid of what others think. How many times are we afraid that others won’t like what we’re doing, or they “disapprove”? Funny thing is that everyone has their own priorities, and you should too. That priority? Yourself. I happened to meet a young girl in high school who said she liked to sing, but she didn’t consider herself a singer or musician. In fact, when my friend and I asked her why she didn’t share her music more, she mentioned “mean girls” at her school. Wow. That was truly sad. She was holding herself back from her passion, afraid of being teased by others who really didn’t care for her. Meanwhile, those who did care for her encouraged her, but it was the rotten apples in the group with nothing positive to say who held her back. What you’ll learn in any marketing exercise, especially in startups, is that you’ll have multiple levels of the market, and those who your message resonates with are the ones who matter the most. It’s that depiction of a funnel where the right audience who comes through at the end. And believe me that there are plenty of people who will care about what you do and say. You think you’re not ready. I hear from my friends who are now parents of little ones that they didn’t think they were fully ready, and even when their kids were born, they weren’t. But they learn on-the-fly. As I’ve started consulting independently, I’ve had to rely a lot on my own experience and skills and my ability to quickly learn. Once I sold myself on projects and started working on them, I’ve continued learning which has been my way of powering through (the drive). Sometimes, it’s smooth, sometimes it’s not. But each time has been a great learning experience. When we pursue a dream or a passion like entrepreneurship, we have to be strong, smart, and vulnerable enough to ask for help. Those capabilities you think you may lack can be learned, and asking for help is one of the best ways to do that. It’s amazing what happens when we actually push ourselves and keep our legs churning – we accomplish what we didn’t think we could. With more time (and falls), you seek the path of least resistance. 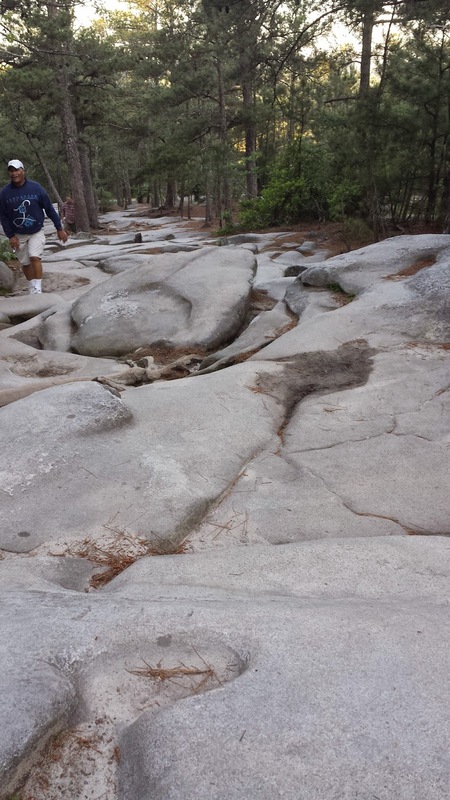 I was hiking on Stone Mountain this weekend, when I realized I started picking lines on the trail with the smallest “steps”. I remember I used to love jumping down the larger boulders. Now, I’m nursing a sprained ankle (I’m like Mr. Glass these days), and I’m consciously more cautious of what line I take. As we all get older, “wiser”, we’ve got more experience and scars that keep us from both getting hurt and attempting anything too risky (like a growing family). Sure that can be a good thing, but it can also hold us back as we settle into a pattern. It’s important to weigh risks against the opportunities and realize, too, that some risks aren’t really risks at all. Instead, they’re just excuses. You don’t think you’re good enough. Patrick McKenzie (of Kalzumeus Software) wrote a post about the need for salary transparency in Talking About Money, but he also shared a little nugget of truth about skill growth. Patrick increased his consultancy rates dramatically from $12K per week to $30K to $50K (PER WEEK!!) DESPITE his skill levels being largely the same. Instead, it was his ability to continue to market and sell himself that drove up rates. When we’re afraid to venture out on our own or to share our music or our ideas, most of the time, it’s because we THINK we’re not “good enough”. However, in most cases, we are. Patrick continued growing his consultancy rates by learning and iterating over the years. It took practice to learn and iterations… practice and iterations he would never have if he never started. You put others and others’ obligations ahead of yourself and your own. I was talking to my musician friend the other day. I’ve heard his stuff, and he’s genuinely a great musician, but due to his work with others, he hasn’t put out any new music in years. At least, he hasn’t shared it. It makes me sad a bit. I explained it to him like his personality… he’s a great guy, has a good heart, and has some deep, creative thoughts. However, most people don’t know him that way because either he doesn’t open up to others or strangers don’t just say hello. I just happened to be the Curious George to say hello. His music, like his personality, will never be liked, disliked, or even known it ever existed if he doesn’t share it with the world. It’s easy to be so focused on the day-to-day that our true passions fall to the wayside while we earn the paycheck that puts food on the table. Important, sure. However, perhaps it just takes being conscious of the lack of effort we spend on what we’re truly passionate about to seize the opportunity and share. The most successful DO-ERs know that stagnation is a trap, and it’s got this gravitational pull that keeps us there. They know that the only way to success is to… well, DO. Pick your line (your direction), attack it (you do), and drive through it (learn, iterate, keep doing). How would you use the Line-Attack-Drive mentality to achieve some goal you’ve set? What other step do you think is missing from this? Recently, I got a chance to sit down with the President and co-founder of IRUNURUN, Travis Dommert. Met him walking down the street of Piedmont with a friend. I actually yelled at my buddy from 200 yards away. It’s funny how things work. IRUNURUN is a performance and accountability app designed to help people and organizations achieve through focus, consistency, and accountability. If you’ve been reading my blog regularly or at least ​a few articles, you’ll know my interest in psychology and passion-pursuits. 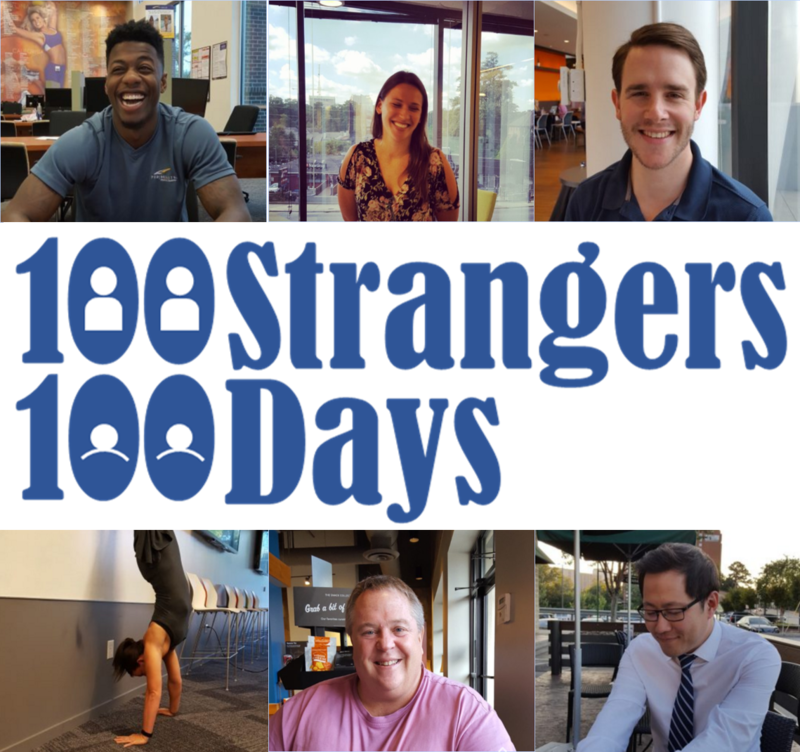 So Travis and I had a great talk, and it made me think more about building sustainable habits. 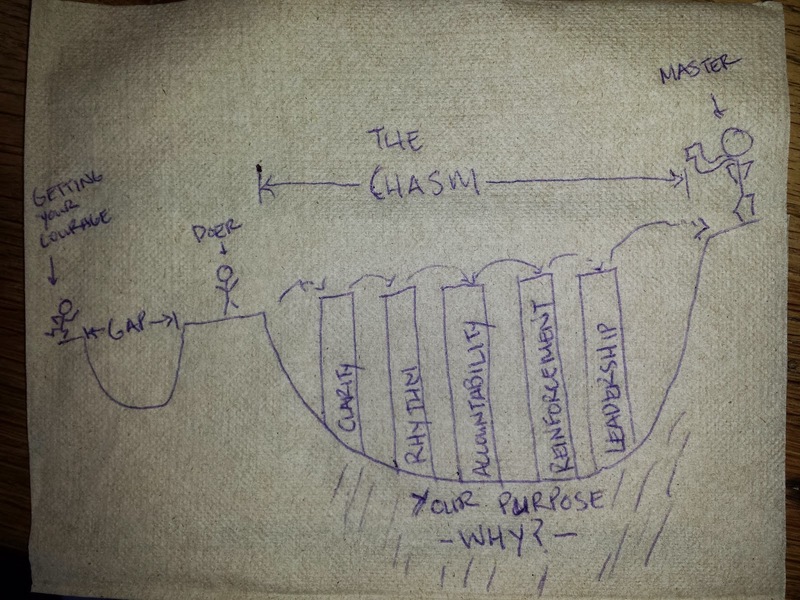 But there was this one idea that really hit me and made a lot of sense — the Gap vs. the CHASM. I wrote about Getting Over the Gap previously, but I hadn’t thought about the follow-up CHASM that exists. It makes sense. That is, getting over the gap is really tough, but getting over the chasm is REALLY, REALLY TOUGH. Crossing the chasm is consistently​ doing (vs. just doing) and can be referred to as “mastery”. This is where many people, I’ve seen not make it over. I’ve seen entrepreneurs take the plunge and just after building an MVP (or oftentimes more than), watch traction not quite be where they dreamed, and they call it wraps without actually trying to find out why or how to pivot. There’s a saying to “fail fast”, but don’t quit prematurely. I’ve seen others find the financial burden of jumping off the original gap​ (and off a full-time gig) quickly swimming back to the full-time safety net. I don’t see enough people really endure and knock through walls where challenges exist; instead, wanting to turn back around. I’m not saying I’m not one of those to have turned around in some points, but maybe this opens my eyes on how to succeed. 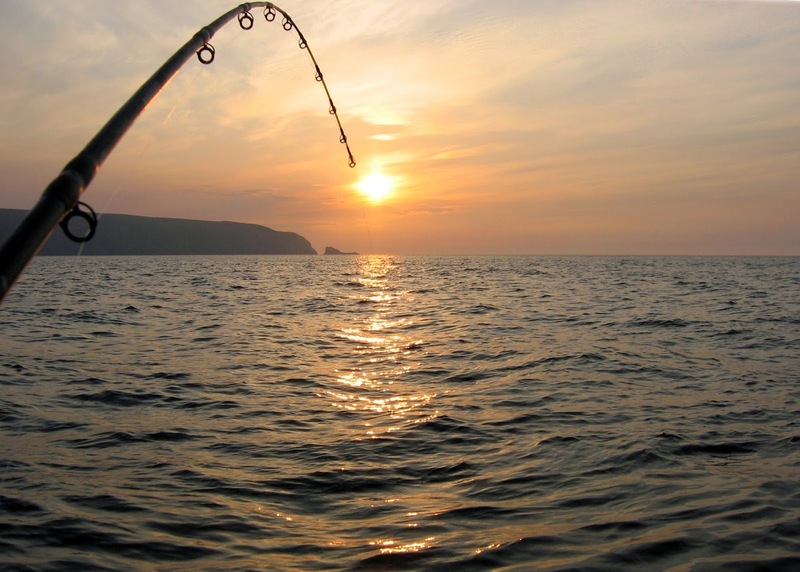 ​Clarity– What’s the goal? What’s the purpose? Who’s the team? Etc. This is mostly living and breathing and will need to adapt over time. Rhythm– Build a cadence that is sustainable, and sticking to it. I like to reflect on this story about how a guy did a “life hack” by getting up everyday at 4:30AM for 21 days. Except, he didn’t do it everyday straight. Instead, he focused on the weekdays because he knew that he couldn’t sustain early days on the weekends. Accountability– Who are you accountable to? For me, I’m accountable, largely, to me and I can usually drive my feet towards a goal. 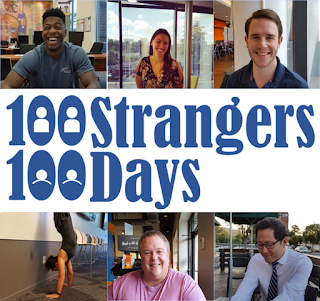 However, accountability can also come from work colleagues, friends, saying publicly you’re going to do something (like buddy Matt performing 100 asks for 100 days). 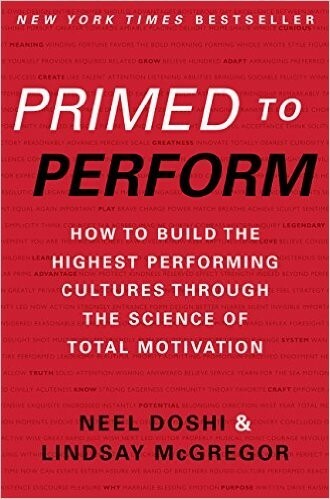 Reinforcement– What enables you to consistently achieve what you need to achieve? In some ways, this can be the incentives. 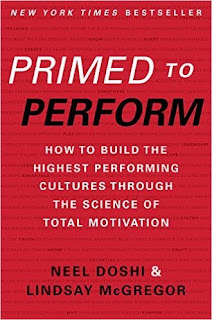 Lean more on the intrinsic vs. extrinsic motivators most will say. 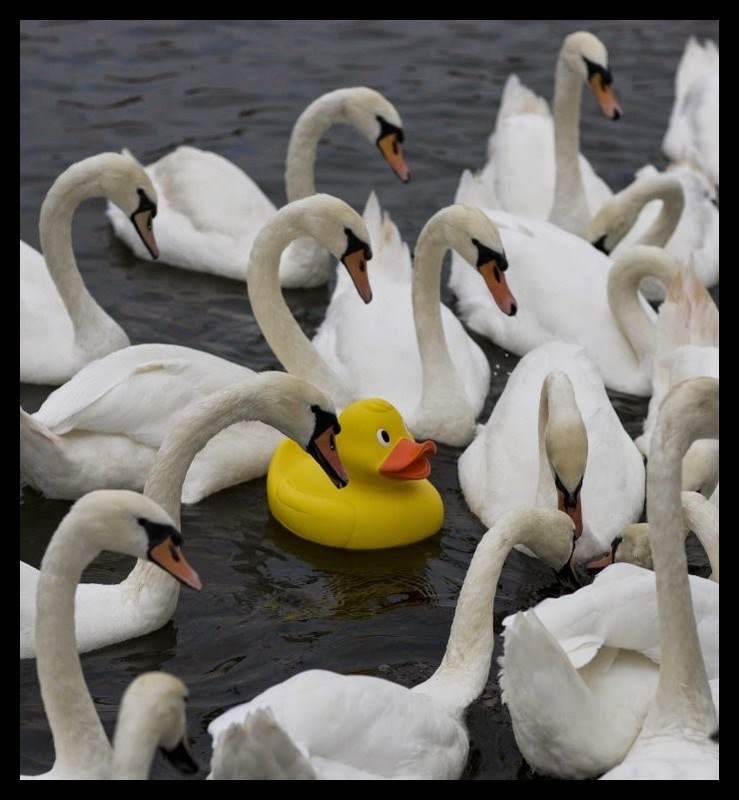 Leadership​ – In many ways in entrepreneurship, this can be you and kind of you alone. However, you can also lean on mentors and co-founders or even idols to lead you. Though, it’d best be someone or some example that you can have some direct interaction with. ​The five steps are from Travis, but the rest was in my terms of understanding. Let’s see if I got it right when he reads this (and potentially corrects me). The biggest stepping stones that I find people having trouble with is in Rhythm and perhaps the bedrock of their Purpose. Whether it’s finding time to workout in the morning, building a new business, or any other transformation, it’s imperative to find the balance that works for you (Rhythm). Part of that may include taking a step back and uncovering what it is that really drives you, not just motivates, but really DRIVES you (Purpose/ Why). ** As an aside and for bonus points, I thoroughly enjoyed Simon Sinek’s TED talk “Start with Why“. Good talk on what really drives people, and it’s not the “what” that a company does, but the “why”. My good friend Michael Flanigan, Co-Founder of innovation leaders Covello, recently shared his thoughts where in the [near] future companies will all need to have a humanizing element to be successful and sustainable. What are your thoughts about the five steps to overcoming the CHASM? Are we missing a step?